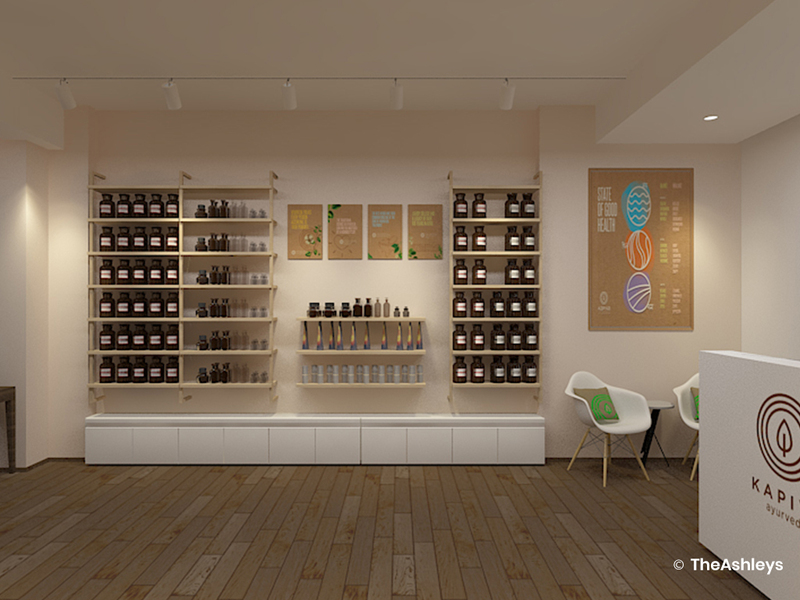 As store designers in Mumbai, sometimes the most interesting projects are the ones that have tight timelines and limited space. 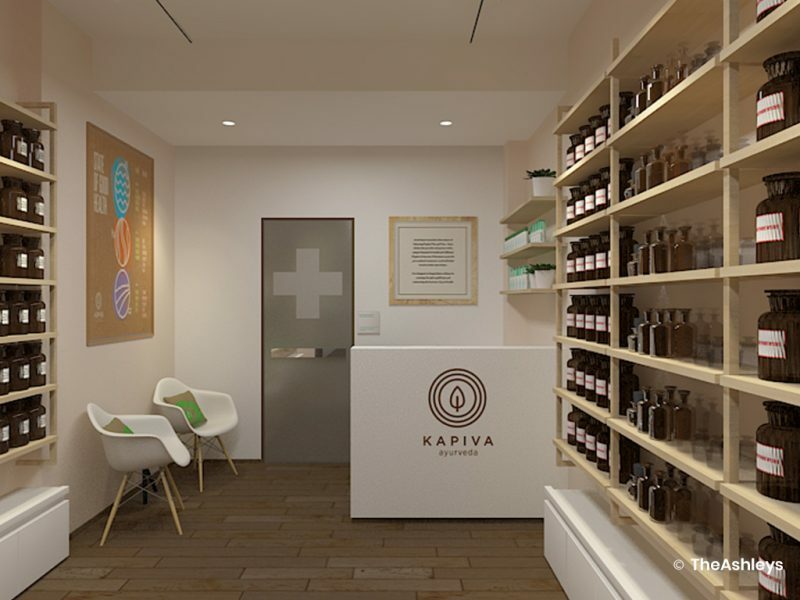 For Kapiva, the successful ayurvedic medicinal brand of the Baidnath group, the brief was to develop a modular design that could be used to set up stores across the city, and could be easily adapted to any space and size. We created a design solution that was simple, yet retained a pleasing trustworthiness and enhanced brand recognition. With a palette of white and light wood, the overall impression is of light and purity. 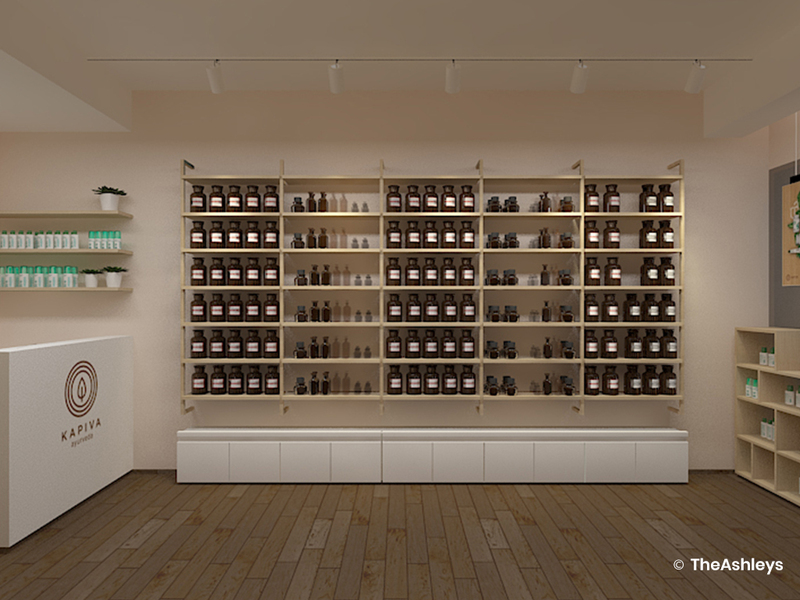 The apothecary-style shelves are made of light wood and fit easily into wall brackets, making them convenient to slot against any space. 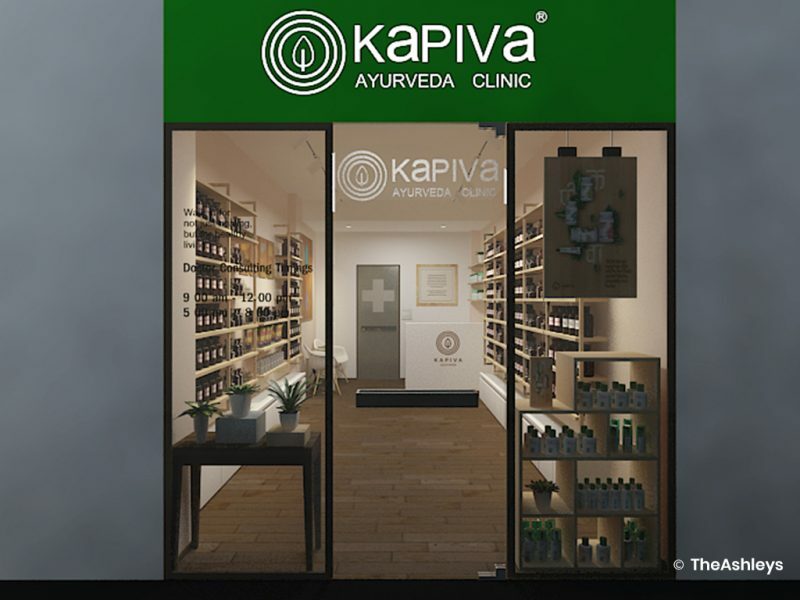 A glass façade with an aluminium grid detailing allows space for product display and prominent branding. A walled-off consulting room design offers a slim divan on which the patient may be examined, as well as a table for the specialist. 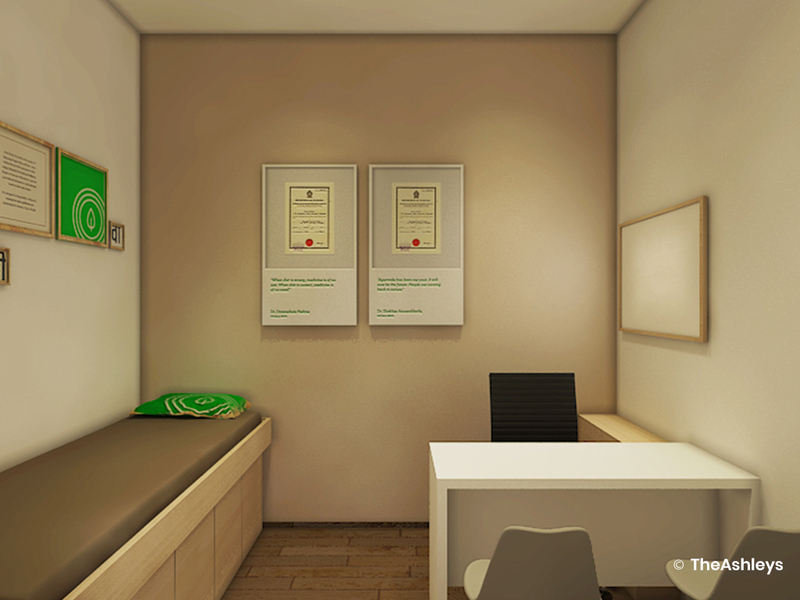 Discreet framed certificates and wall art frames encourage a sense of trust and openness.